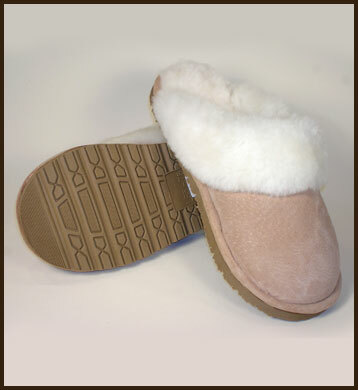 This style of sheepskin scuff is the most popular on the market today. It has a heavy-duty rubber sole suitable for outdoor wear. Our customers love the comfort provided by the extra padding in the sole. Women's sizes 5-6, 6½-7½, 8-9, 9½-10½: $44.